Last week,DH got a great deal on Blu-ray DVDs and he picked up the Harry Potter Series. We introduced our little Diva to Harry Potter and since then,we have been watching HP,every night..and if she has it her way,even in the mornings. 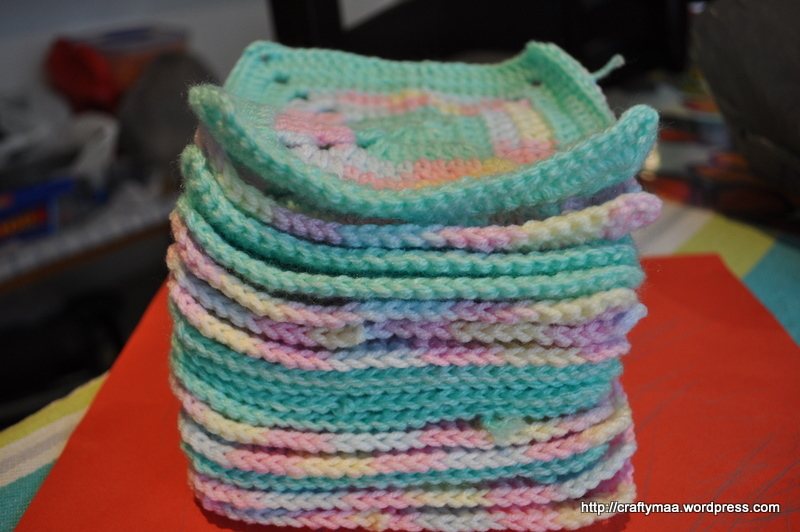 2) Completed the crochet squares for my bag. In a thick bottomed pan,heat the ghee and add the grated carrots.Toast for a minute or two. Add the milk and let it simmer on a medium flame,stirring occasionally. When the milk is almost reduced,add the ricotta and mix well. Also add the raisins and cashew nuts at this time. Let it cook on a low flame,till all the liquid dries up. Finally,add sugar and mix well and again let it cook,till the water from the sugar evaporates. Note: This could take 2-3 hours,because you are cooking it on a low flame,but its worth waiting for. This yields quite a bit- I got a my biggest pyrex bowl full..I am guessing nearly 1L.Just cool it to room temperature and keep it refrigerated.Reheat portions as you require.It should be good for a week to 10 days,if it lasts that long.Just remember to use a dry spoon everytime,you take the halwa out. 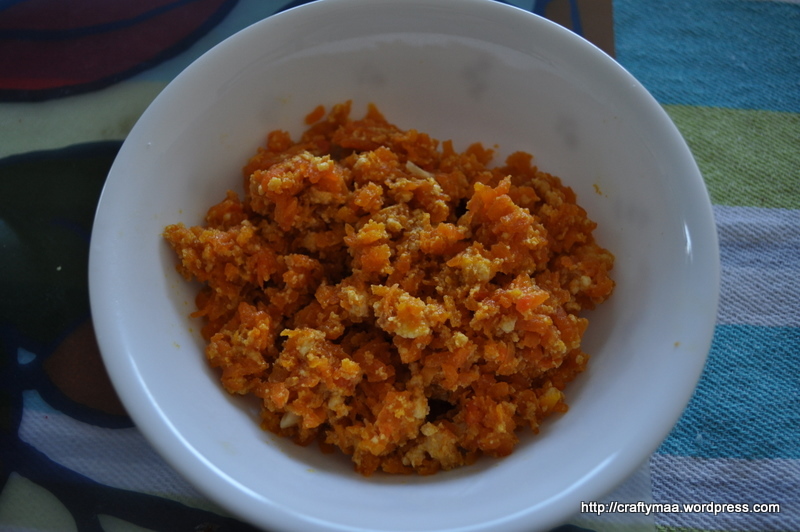 My oldest winter memories are of a big pot of carrot halwa,sitting in the fridge and portions of it re-heated for dessert after lunch/dinner or even occasional breakfast of halwa-paratha. Previous Post Party Pics finally..